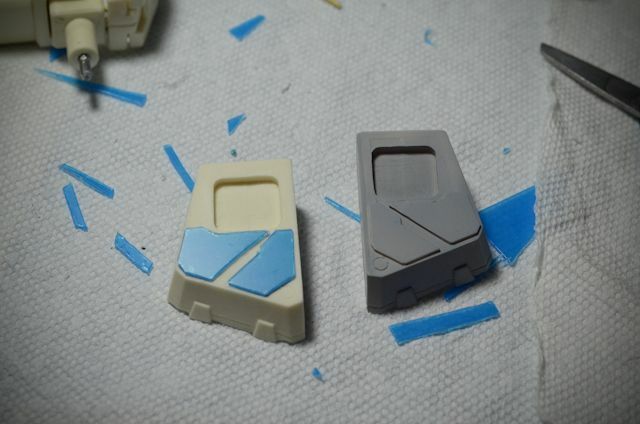 As most of the Gundam Building 101 series goes, I will make this a simple, approachable tutorial. There are certainly more advanced techniques to do, and different ways to approach this, but this is the method I've found to be the easiest. 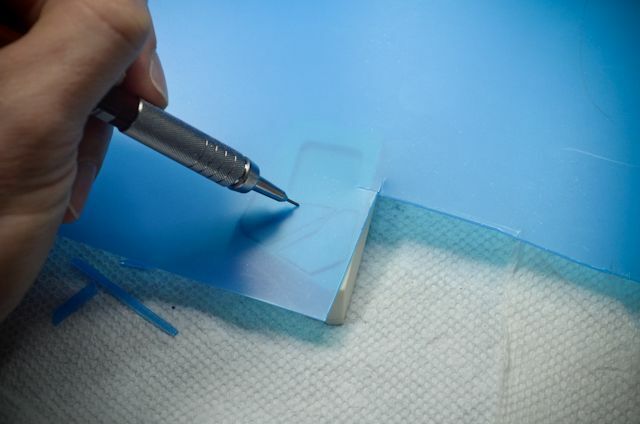 Adding plastic styrene sheets (plamo plates) can put depth and highlights in otherwise boring or flat areas of your model. Choosing the right shapes is entirely dependent upon your own creativity (or that google image you just saw haha). 1. Choose the piece you want to add depth to. Pencil in ideas of what you want to add here. Keep in mind a few things: the theme of the particular design of the model, the color scheme, and how complex you want to cut shapes. The simpler the pattern, the easier the cut. 2. 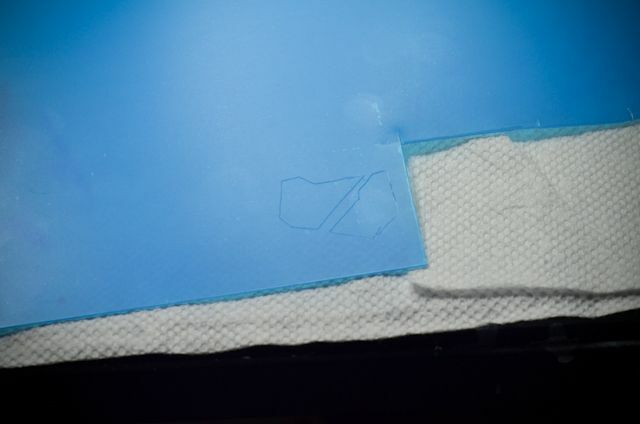 Using your (hopefully) clear sheet of plastic, place it over the piece and trace an outline of the shapes. 3. Once finished, double check your outline to make sure you can distinguish the lines. 4. Cut out the shapes. When you do this, make sure you don't shake, and try to cut straight lines. I use heavy duty fabric-quality shears. They cut straight with relatvely little power required. 5. I check here to make sure I like the shape, and how it looks. 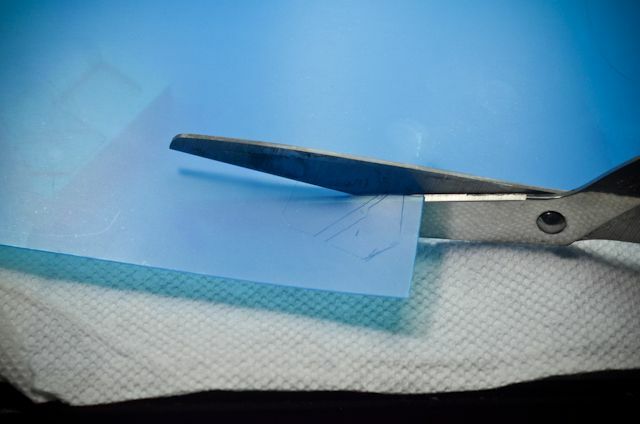 Re cut lines if they aren't straight, or start completely over if you have to. 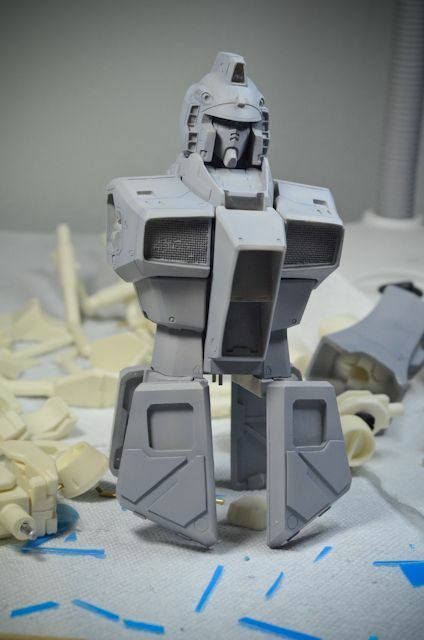 However it looks is EXACTLY how it will look when primed. 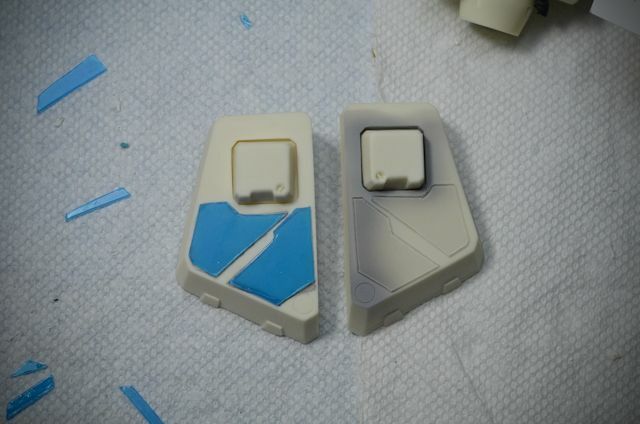 Note: The blue on the left is just a static protective cover. 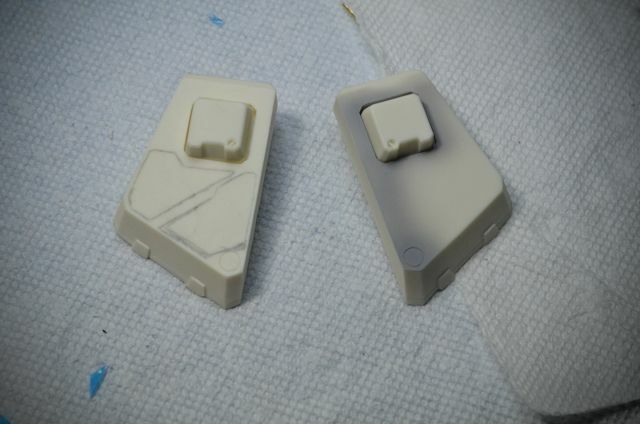 I removed it on the piece on the right. 6. Super glue/epoxy glue the shape onto your model piece. Make sure once you set it that it stays in place the entire time the glue is drying. MAKE SURE YOU USE ONLY A DROP OF GLUE, don't glob the glue on. 7. Sandpaper the newly added pieces before you prime, then prime that bad boy and enjoy your hard work!